Food in pellet form creates less dust than extruded food. It also allows ingredients to be combined with others. On the other hand, pellets take longer to soften and swallow as being harder they need to be chewed more. 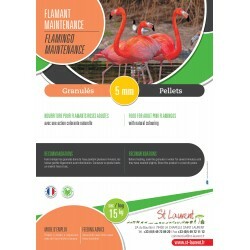 For waterfowl (ducks, geese, swans…). In a 20kg bag. 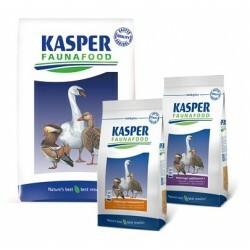 For waterfowl (ducks, geese, swans....). In a 20kg bag. 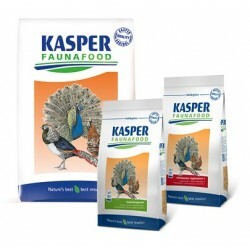 For wildfowl (peacocks, pheasants, partridge, quails...).In a 20kg bag. For wildfowl (peacocks, pheasants, partridge, quails...). In a 20kg bag. 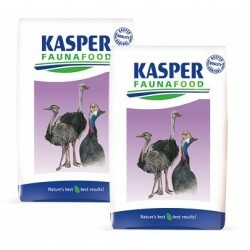 For ratites (ostriches, emus, rheas...). In a 20kg bag. For poultry from birth. In a 25kg bag. For hens and chickens. 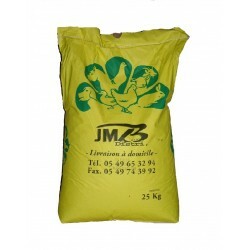 In a 25kg or 10kg bag. 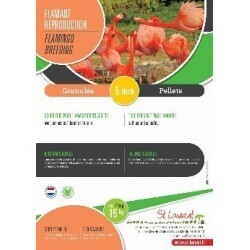 For laying hens and chickens. In a 10kg or 25kg bag. 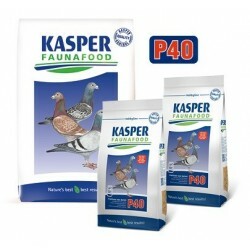 Ideal complementary feed for pigeons. In a 4kg bag.